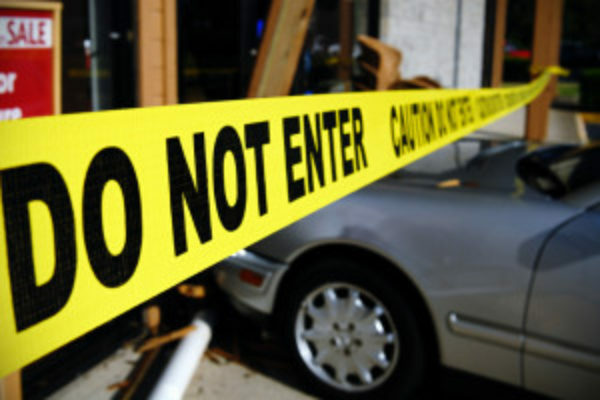 It happens too often: a driver suddenly loses control of a car, sending it into a storefront or pedestrian area. Property damage and serious injuries, sometimes fatal, can result from these accidents. But with protective devices and effective parking area design these crashes don’t have to happen. Studies show that ‘Pedal Error’, where drivers mistake their gas pedals for their brakes, is the leading cause of damage to buildings from vehicle impact. Drivers can also confuse ‘Drive’ with ‘Park’ on their automatic transmissions and drivers of all ages get distracted or suffer medical emergencies and fail to brake in time, or at all, when entering or leaving parking areas. Even in a best‐case‐scenario incident where no injuries occur, a vehicle collision into a building can cause serious damage. Simply replacing plate glass windows or doors can cost thousands of dollars. A storefront crash puts commerce on hold ‐ sometimes only for a few hours, sometimes for a few days and in the worst cases, permanently. While no business is immune, high customer/vehicle‐turnover store locations such as convenience stores suffer many more accidents than locations with fewer visitors or separate parking facilities. Keeping pedestrians and moving vehicles separated is vital. Bollards, guardrails and signage direct people to walk in safe, predictable areas. Slowing vehicles down means drivers have more time to see and react to pedestrians, other vehicles, and signage and pedestrians have more time to get out of the way. When a crash is unavoidable, the slower a vehicle’s speed, the better the chances of minimizing damage. The types of barriers that can be erected to prevent these accidents include bollard posts, large planters or other architectural items that actually enhance appearance while offering a layer of protection. Bollards can be removable, retractable or fixed but must be tall enough for drivers to see. Orient parking spaces so they’re pointed away from people and buildings. Arrange parking so vehicles pull in toward a planted berm or other pedestrian‐free zone. Standard 6 ‐ 8 inch car stops or curbs are not effective barriers for moving vehicles. Once the wheels roll up over the edge, there’s nothing to impede the vehicle’s momentum.